Page through current and archived articles. Click on the article link in the upper right of each page (example: Secretary of Religion Column>>) OR use the Table of Contents links in the left column for the Current Newsletter. 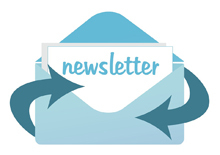 We welcome comments and feedback on this newsletter and our website. Please contact [email protected]. The views expressed in the articles on this website are those of the various authors and not necessarily those of the Office of the Secretary of Religion or Sikh Dharma International. Of all the many tools the Siri Singh Sahib delivered to his students, perhaps the most subtle and most powerful was Shabd Guru. As we begin to vibrate these sounds, we refine our own minds, so that we can listen more clearly, with less and less ego, and allow our inner wisdom to guide us. 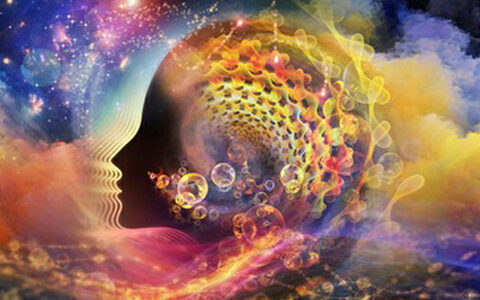 What motivates most of us to participate and practice in any spiritual path is our own desire to change. We want to be happy. This is the basic motivation for all human behavior. But to really change and experience happiness, we need leverage; we need power. What power do we have? The Word. In yoga philosophy, there is the concept of “manifestation of being,” comprised of degrees of subtlety that form the world around us, seen and unseen. Sound is associated with the most subtle of the elements—Ether. If we want to change things on the gross level, the earthly plane, we can only gain real leverage at the most subtle. This is why mantra, and especially Shabd Guru, is so effective. Mantras work at the most subtle elemental level of the psyche to apply real leverage to the grosser elements so that we can change. The sound current refines the mind through the application of the formula: japa, tapa, sanjam, dharam. We repeat the mantra—japa, which generates tapas (inner heat that refines the psyche). Japa generates inner discipline, sanjam, which finally delivers one to dharam—your personal path to elevation and excellence. The deepest most painful elements of my psyche have only changed with the practice of Shabd Guru. My negative patterns with men; my patterns of attachment and ego; my pride; my resentments; all have changed course through my practice of Shabd Guru. Reciting Sopurkh, Asa di Var, Shabad Hazaare, Dhan Dhan Ram Das Gur, Asa Piasi Pir Kao Lorhee, Thir Gar Bhaiso, Ajai Alai, Kusam Basant, KalmalHoee, Mool Mantra are examples of practices that have changed my life. They have cleared my arcline, burned up my attachment, taught me self-forgiveness, opened the way for miracles, brought in new ways of being intimate, generated contentment, built my radiant body, worked on my positivity, healed my relationship to the Earth, and laid the foundation for an infinite identity. Eleven recitations a day of a shabd or pauree from the Guru Granth will change your life. Even one line, repeated, can change your destiny. The beauty of Shabd Guru is that you don’t have to figure out what to change and how to change it; instead, just repeat the sounds, surrender to the frequency and align yourself to the vibration. The sounds themselves do the work by attracting new people, new situations, and new environments into your life and allowing life to unfold and blossom in new directions. It will feel like a miracle—because it is. 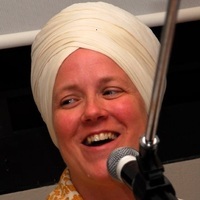 SS Sat Purkh Kaur is an ordained Sikh Dharma Minister and a KRI Certified Level Three Kundalini Yoga Teacher as well as Lead Trainer in the Aquarian Trainer Academy, Sat Purkh recently became a Minister of Sikh Dharma and shares “Dharma talks” regularly online. She has recorded eight albums of sacred music, including Nectar of the Name, Beautiful Day: The Aquarian Sadhana, Queen Be: The Goddess Within, Love & Other Miracles, One: Love, Life, Light, The Pearl: Maiden, Mother, Crone, The Guru Within, and Across the World Ocean. She lives with her husband, Abhai Raj Singh, and their menagerie of animals, and is always at work on her next album of sacred music.